More than fifteen years ago, open innovation expanded once coined by Professor Henry Chesbrough. Something that remained in a concept visible in some implementations has been consolidated with new formulas. The agility of the market has generated matchings between companies. The linking of corporations with startups is the most repeated open-platform typology. In that way there has been a mutual adaptation between the corporate language and that of a startup. According to the Open Innovation Ouotlook 2019 investment in startups through joint programs or specific projects is the most repeated option. How a startup works is what leads the most to invest in it but without affecting much of its model of functioning, more agile than that of the company that has invested. All this also confirms the importance of accelerating projects with an updated open innovation model. Having the mechanisms of a startup facilitates acceleration within a corporation. These mechanisms are in the same startup, so developing the solution in that environment makes a lot of sense to the agile and changing typology of the current market. In Girbau LAB we know that the solutions to our challenges , in addition to finding them inside, are also outside. 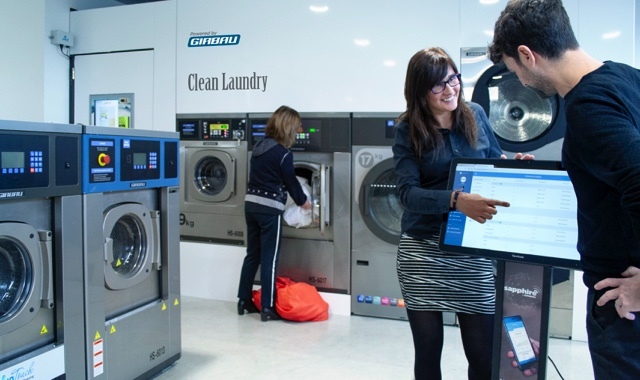 We integrate in the laundry industry the consolidation of open innovation as an activation of this external and flexible search for disruptive and innovative solutions.